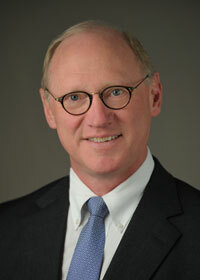 National Institutes of Health Director Francis S. Collins, M.D., Ph.D., appointed James M. Anderson, M.D., Ph.D., as the Director of the NIH Division of Program Coordination, Planning, and Strategic Initiatives (DPCPSI) in September 2010. "With experience in clinical medicine, in academic research, and in administration, Dr. Anderson has a broad understanding of the biomedical research spectrum that will serve him and the NIH well as he works with us to evaluate, prioritize, and coordinate a wide range of trans-NIH research opportunities. I am thrilled to have recruited him to NIH," said Dr. Collins. The NIH Division of Program Coordination, Planning, and Strategic Initiatives' mission includes identifying emerging scientific opportunities, rising public health challenges, and scientific knowledge gaps that merit further research. The Division plans and implements trans-NIH initiatives supported by the Common Fund and coordinates research related to AIDS, behavioral and social sciences, women's health, and disease prevention. Dr. Anderson is currently Professor and Chair of the Department of Cell and Molecular Physiology in the School of Medicine at the University of North Carolina at Chapel Hill, a position he has held since 2002. Before his appointment at Chapel Hill, he was Professor of Medicine and Cell Biology and Chief, Section of Digestive Diseases, at the Yale School of Medicine. Dr. Anderson has extensive clinical experience in both Internal Medicine and Hepatology, and he is considered among the top authorities in the world in his primary research field of tight junctions and paracellular transport. He has been a principal investigator on NIH grants for almost twenty years. The NIH Common Fund encourages collaboration and supports a series of exceptionally high impact, trans-NIH programs. These programs are managed by the NIH Office of the Director in partnership with the various NIH Institutes and Centers. Additional information about the NIH Common Fund can be found at http://commonfund.nih.gov. The Office of the Director, the central office at NIH, is responsible for setting policy for NIH, which includes 27 Institutes and Centers. This involves planning, managing, and coordinating the programs and activities of all NIH components. The Office of the Director also includes program offices which are responsible for stimulating specific areas of research throughout NIH. Additional information is available at http://www.nih.gov/icd/od/.